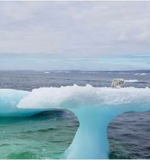 It’s not uncommon for fishing boats to see icebergs off the coast of Labrador, Canada. And it’s also not uncommon to see those icebergs carrying some passengers. Normally you’d see some seals lounging on icebergs. 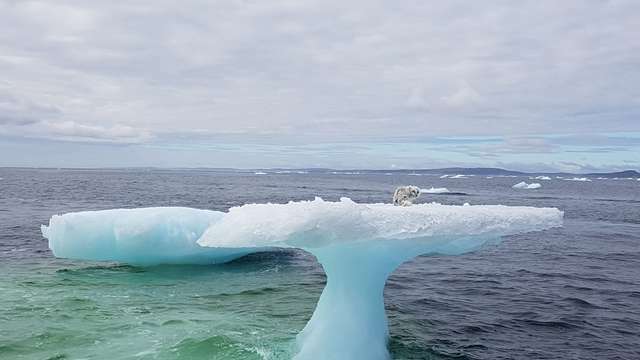 So Mallory Harrigan didn’t really think anything of it when she saw something floating on a mushroom-shaped iceberg about 4 miles from shore when she was aboard a crab-fishing boat. “We thought it was a baby seal,” Harrigan told The Dodo. But as they got a closer look, they realized it wasn’t a baby seal. It wasn’t even anything that belongs out at sea. 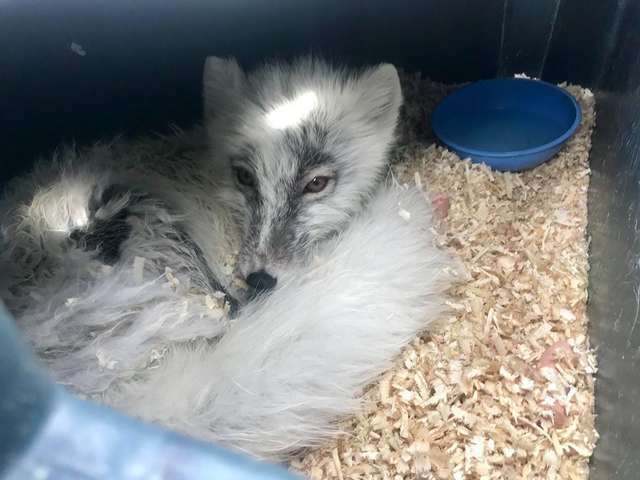 When they got close enough they realized that it was an Arctic fox. 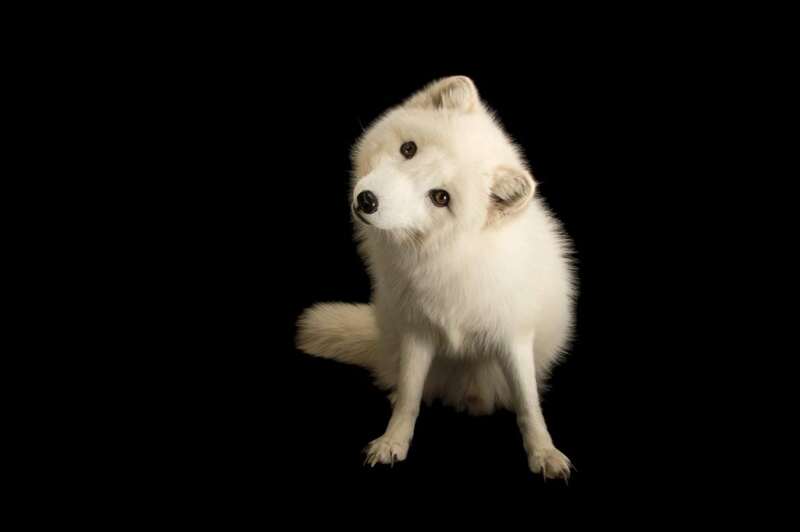 The Arctic fox is known as a super hardy animal that can survive temperatures as low as –58°F in the treeless lands where it lives in burrows. They will often burrow and tunnel through the snow during a blizzard to create a shelter. Their coats are white or a blue-gray during the winter to camouflage them. They turn a brown or grey when the seasons change to blend in with the summer tundra. They knew that the fox would die out there if they didn’t help him so Harrigan and her colleagues tried to save him. 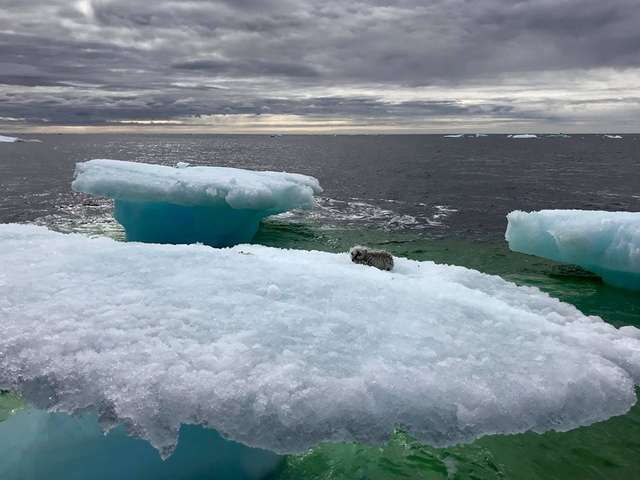 First, they pulled their boat up to the iceberg. They were then able to scoop up the fox and bring up aboard their boat. 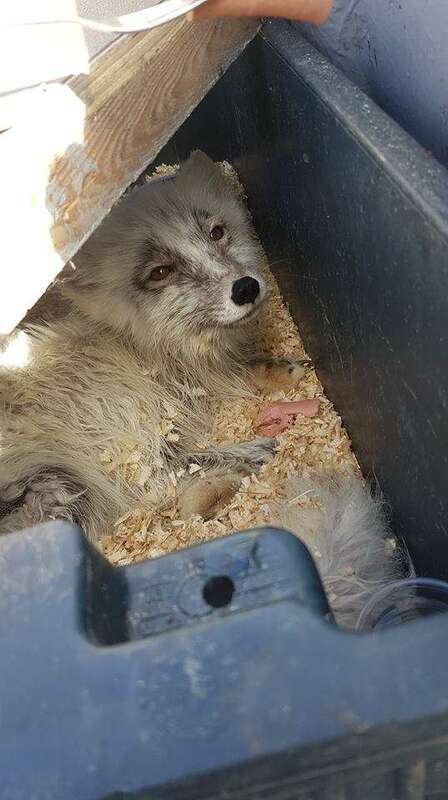 They made the fox a makeshift bed onboard and gave him some food to eat. They wanted him to regain his strength and get warm as they traveled back to land. The fox had a little bit more to eat once he got back to land before they set him free.